Social media has become huge and everyone wants a big piece of it, including the hospitality industry. 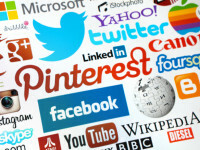 Did you know that there are more than 350 social media networks? Facebook has a whopping 1.2 billion monthly users, making it the biggest social network of them all. Social media might have an even bigger presence in our daily lives than television, since so many users have easy access to their accounts on their ever-present smartphones. Many companies and brands use this platform as a tool to connect with consumers. While most people use Facebook to stay connected with friends and family, they’ve noticed advertisements slowly creeping in and even becoming part of their network when they “like” a certain company, brand or product. And much like individual users, your favorite clothing line or car company most likely has a Facebook page, a Twitter account and so on, to keep fans, the media and anyone else who’s interested up to date on big announcements, deals and more. Of course, if there’s no strategy behind the posts and tweets, big-name brands could be reaching out to an audience for naught or one that doesn’t exist at all. Some brands have even gotten into hot water for not-so-savvy social media practices. Take a hint from some of these do’s and don’ts and apply them to your personal use, just as companies should. If you’re a well-known, well-loved brand, having a social media presence gives you a way to reach your fans and customers in a unique, non-conventional way. You’re bound have updates show up in newsfeed or even have content like videos shared by multiple users. Many consumers practice brand loyalty, so if you’re going to make your brand have an active social media presence, do so wisely. Don’t get caught in a sticky social media situation like these brands did. It’s best to know your audience and make sure whoever is managing your social media presence is cognizant enough to predict how fans and followers will probably react to a post. And of course, have them stay away from anything controversial or tasteless. Another benefit of promoting your brand through social media is that fans notice when you’re doing something right. Take, for instance, angry customers tweeting or posting about how a company did them a disservice (right on the company’s Facebook or Twitter page, no less). When the brand promptly apologizes and works to resolve the situation, other consumers will notice because it’s being played out on a public forum. A new year means resolutions – for both yourself and your business. Take a cue from the social media offenders of both the corporate world and your circle of friends. Certain social media networks let you “check” in” and post about where you’re dining or shopping, which is great brand promotion, but not necessarily great for the person posting their whereabouts online. Posting photos and status updates about where you are could attract the wrong kind of attention. Criminals will know when you’re away from your home and could possibly zero in on your home as a break-in target. Security and social media use go hand in hand – whether it’s for big brands, small business owners or everyday people with individual accounts. For brands with multiple social media accounts, it’s important to keep the password and account information super secure. Only certain individuals within the company should have this access information. This will help cut down on having the information get into the wrong hands, or even get hacked. The last thing you want is a disgruntled former employee going rogue and tweeting all kinds of awful things from your Twitter account that could potentially harm your brand. Be aware of these social media best practices for your brand – and yourself – and you’re sure to have a successful online presence in 2014 and for years to come! Happy New Year!